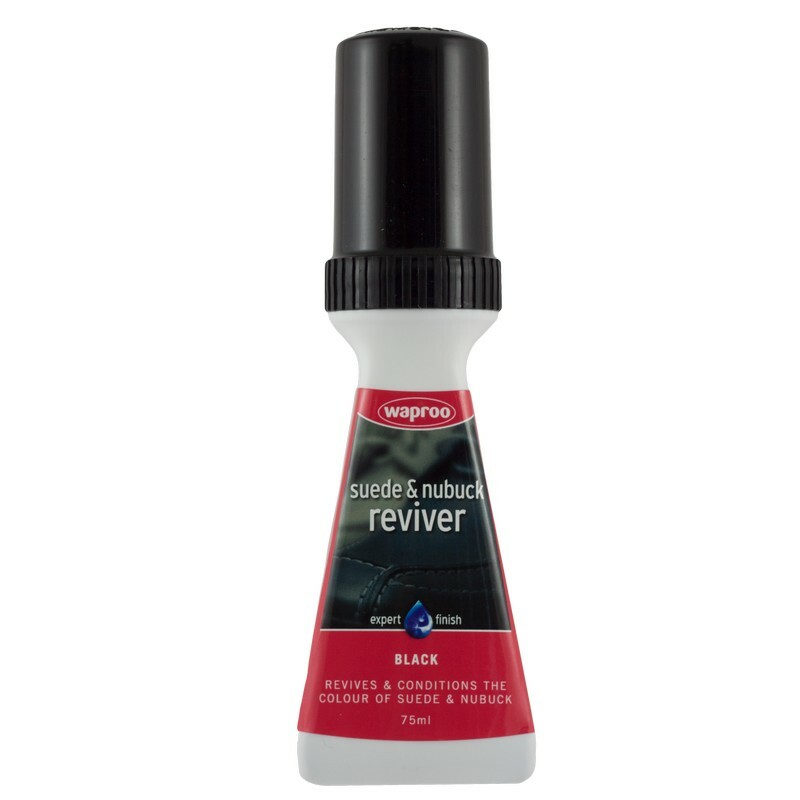 A liquid formulation with easy to use sponge applicator. Contains conditioning agents and leaves a velvety finish when dry. Suitable for use on shoes and accessories made from suede and nubuck. Available in black only. Colour may vary slightly from batch to batch. First brush off all dirt from surface of suede and nubuck leathers using a Waproo Suede Nubuck Brush or Waproo Suede Nubuck Cleaning Block for stubborn stains. 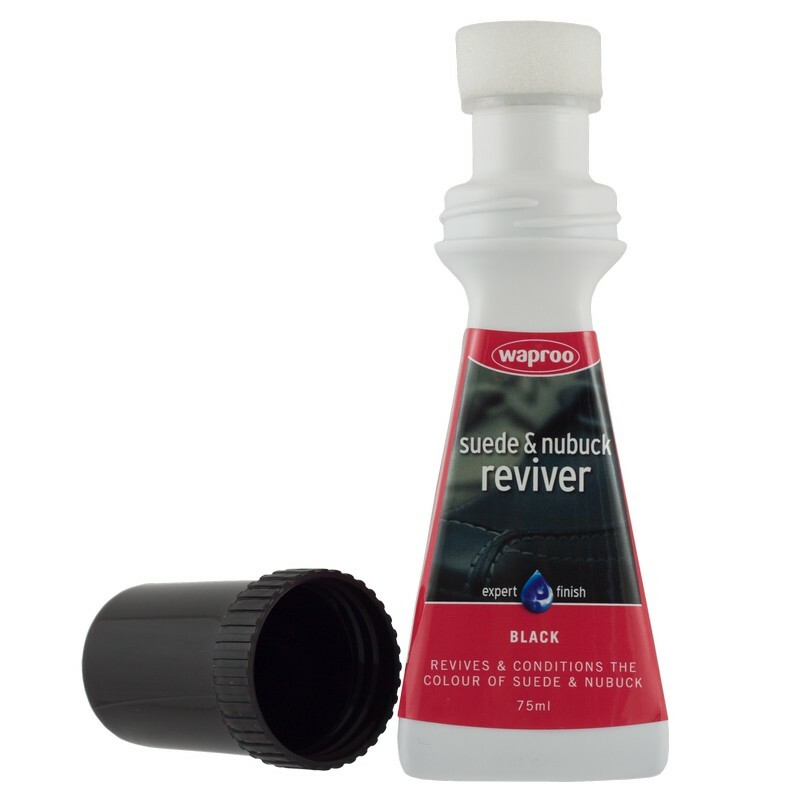 Press sponge applicator onto suede or nubuck to release valve whilst squeezing bottle gently. Apply an even coat and allow to dry naturally. When dry raise nap of fibres by brushing along and against the grain of the leather. Rinse sponge applicator after use. 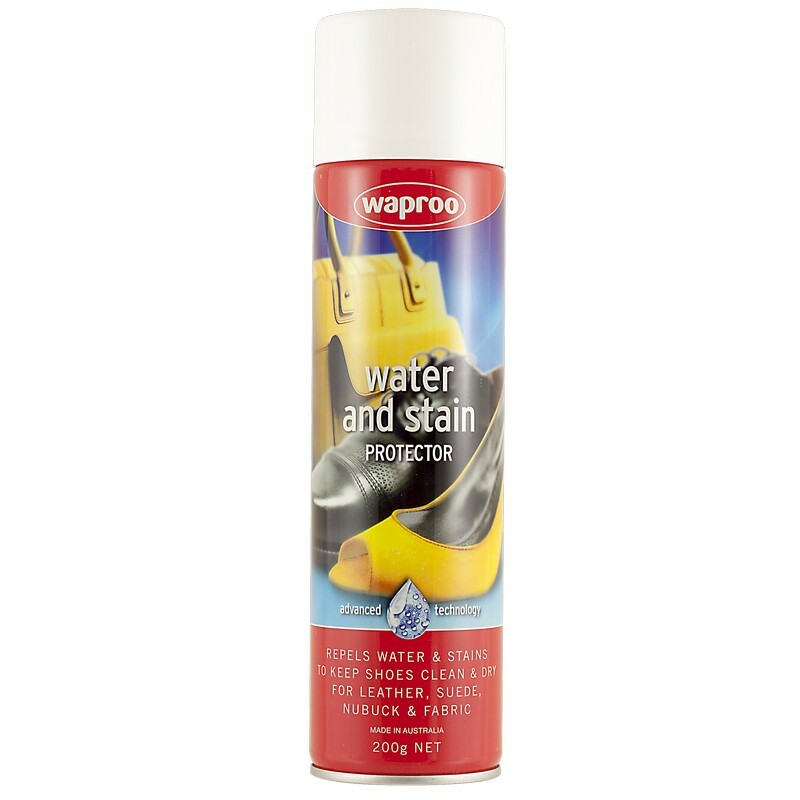 Protect revived suede or nubuck with Waproo Water & Stain Protector or Waproo Waterproofer.